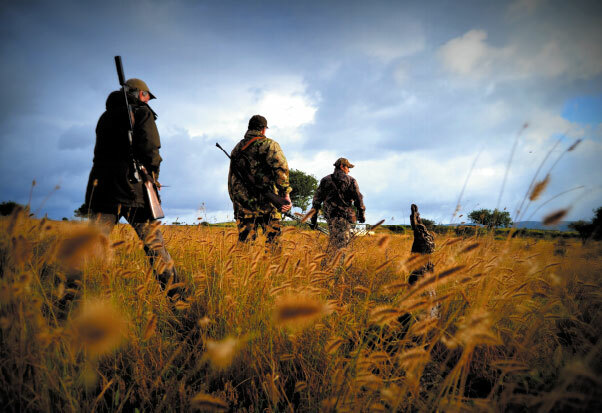 As a registered hunting outfitter in the Eastern Cape of South Africa, we offer you a unique safari hunting experience in beautiful malaria-free surroundings. Mayogi is a family owned and operated Trophy Hunting destination, which is situated in the heart of the Valley Bushveld in the Eastern Cape. The variation of the terrain together with the abundance of different species of animals and birdlife makes this region one of the most interesting and exciting hunting destinations in the world. Mayogi Safaris have been operating actively since 1998 and became well known for top trophy quality Southern Impala, Cape Kudu, Cape Bushbuck and Cape Grysbuck through the years. Our personalised and exclusive service means a truly rewarding adventure in the game-rich bush of the Eastern Cape. 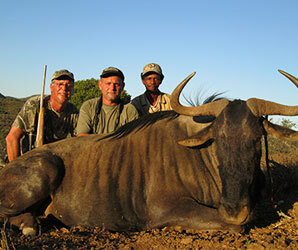 Hunting occurs predominantly on the 25 000 acres of bush surrounding the lodge. 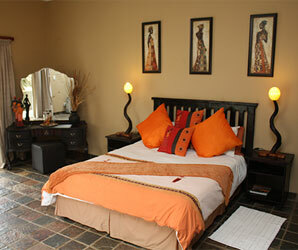 Mayogi Lodge is a spacious, Colonial Style farm house, that consists of 8 double bedrooms. Experience unforgetable adventures both with us and in the surrounding areas. 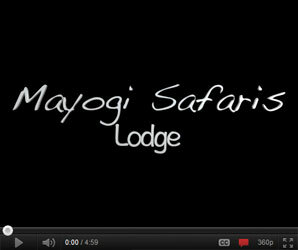 Mayogi Safaris is situated just outside of Graaf Reniet, approximately 120km North-West of Port Elizabeth. We had been thinking about a safari for over a decade and our experience with Mayogi Safaris surpassed anything we could have ever dreamed of. Of course, the hunting was fabulous. Of the six animals we harvested, four made the SCI record book (another was ¼ inch short); including a bronze Kudu, silver Red Lechwe, silver Copper Springbuck, and a gold Steenbok. We also saw plenty of other animals which we chose not to take including Eland, Bushbuck, Water Buck, Warthog, other colors of Springbuck, both Black and Blue Wildebeest, Zebra, Black Impala, Sable, and Giraffe. The lodge itself was clean, comfortable, and inviting. It had everything one would want in accommodations including grounds that were immaculately kept and daily laundry service. Dining was excellent from a quick breakfast to a nice lunch to wonderful dinners which included game that was harvested, along with other meats, vegetables, and accompanying dishes. It became a point of contention of the Impala fillet, the Wildebeest fillet, the hind quarter of Steenbok, Springbuck roast, Warthog bacon, Kudu and cheese sausage, or burgers made from a mixture of Kudu, Impala, and Warthog was the best meal. But the most outstanding part of the adventure, hunting, scenery, lodge, and food aside, was the people of Mayogi. From the owners and their families to the Professional Hunters and trackers to the kitchen, lodge, and meat processing staff, every last one made you feel welcome. In fact, we felt more like guests than clients. They made the trip complete with their warmth and hospitality – along with the requisite, good natured ribbing when it was called for. They went out of their way to accommodate anything we needed. We are happy to call them friends. “Thank you for making our second trip to South Africa the best. You all made us feel like family and showed such great hospitality! This is the first vacation Bray hasn’t become home sick. He has enjoyed playing with us and ‘driving’. You all treated him like your own, for that I can’t thank you enough. 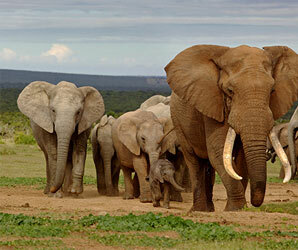 Special thanks for arranging the Elephant Park, Cheetah Park and trip to Port Elizabeth, we had a great time!